Many, many thanks to the volunteer team from Bernard Robinson & Company! This past weekend, they cleaned the old and new offices, washed dogs and the building, walked dogs, and took inventory. 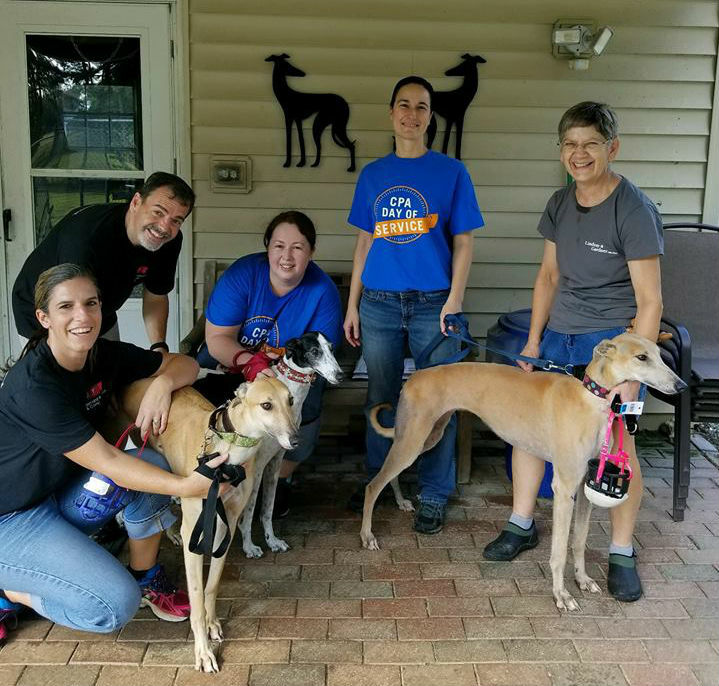 Thank you for once again choosing Greyhound Friends of North Carolina for your CPA Day of Service. We appreciate you and the greyhounds do too!